Featuring superior turn and stability, good grind clearance, no hang-up yoke for grind tricks, and less wheel bite. Long lasting and strong for impact. 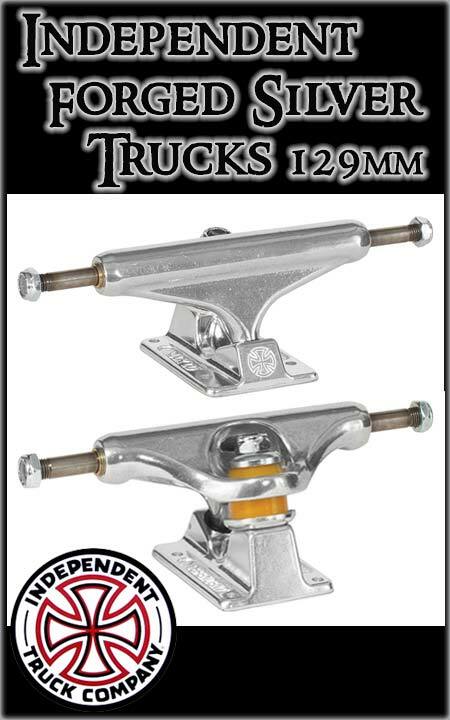 Independent trucks are Made In The USA and Guaranteed For Life. One truck -- sold seperately. CUSTOM BUSHINGS: Proper bushing choice and truck adjustment can make a world of difference in your riding experience. Let us choose a specific bushing combo to suit your weight and intended discipline. Please provide the rider's weight and intended discipline in the notes section when choosing this upgrade option.